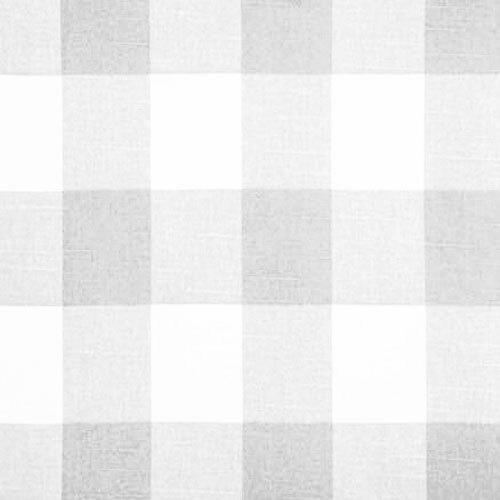 Pale grey and white large gingham buffalo check printed home decorating fabric. Anderson French Gray buffalo plaid fabric is the most fashionable pattern for your space this season. 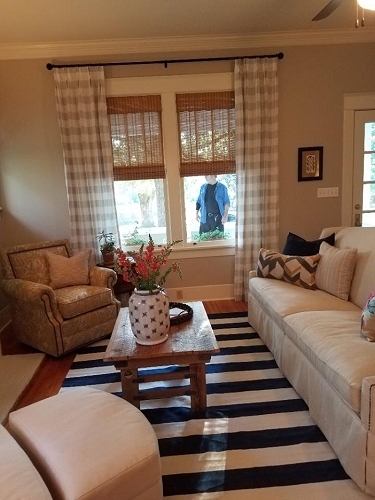 Perennially in style, the simple yet charming buffalo check (also known as gingham) has captivated the inspiration of designers and homemakers alike for centuries. This fabric is featured in a large plaid print. The perfect textile for decorating every style of home from cozy cabins to elegant apartments and contemporary lofts. Redefine this classic pattern in your space by incorporating it as throw cushions, accent pillows, duvet covers or table linen accessories for a look that always stays in style.